Jungle Entertainment has told allkpop that Leessang members Gary and Gil have decided to end their hiatus from variety shows. Gary and Gil announced earlier this week that they would be leaving SBS’ ‘Running Man‘ and MBC‘s ’Infinity Challenge‘, respectively, after the cancellation of the ‘Super 7‘ concert. 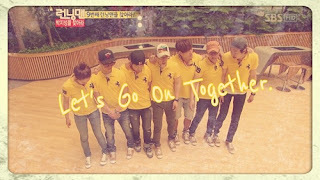 I am glad that Gary decided to stay in Running Man and Gil remains in Infinity Challenge. I personally like Gary in Running Man. It will just not be the same without Kang Garie. He brings so much joy and entertainment in Running Man. His character as peaceful Gary, Running Man Underdog and ex-Monday boyfriend was impressionable. 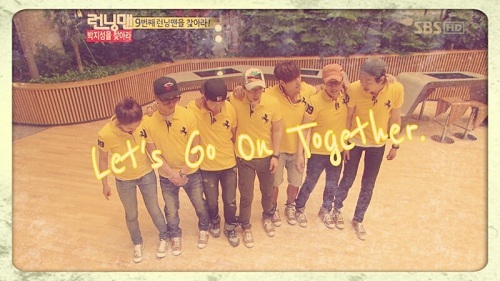 Like all Running Man fans, i was worried that Gary will give up Running Man. Fortunately, he decided to stay and i am seriously overjoy when I read the latest news about LeeSang. I only know about Gary and Leesang through Running Man and since then, i started to notice this R&B Hip hop duo ever since. I love their song - The girl that can't break up, the boy that can't leave. I knew about this popular song much earlier, but i only started to notice LeeSang after watching Running Man.